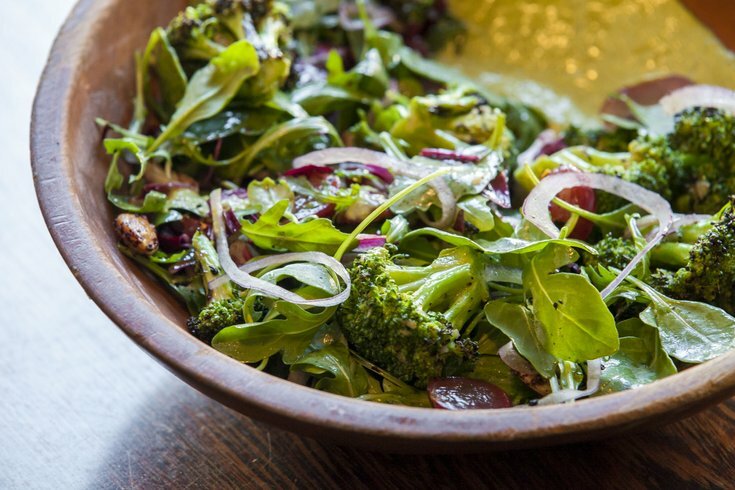 The Grilled Broccoli Salad from High Street on Market. Old City Eats will return for the third summer. On Thursdays, more than 30 participating restaurants in the neighborhood will offer half price appetizers and drink specials from 5 p.m. to 8 p.m.
You'll find deals at hotspots like Royal Boucherie, High Street on Market, Khyber Pass Pub, Stratus Rooftop Lounge, Tuna Bar, Cuba Libre and Continental. To kick off Old City Eats, there will be a block party on Thursday, June 21, where attendees will have an extra hour to enjoy the deals. Stroll the streets until 9 p.m. to enjoy food, drink and live music outdoors in the historic neighborhood.